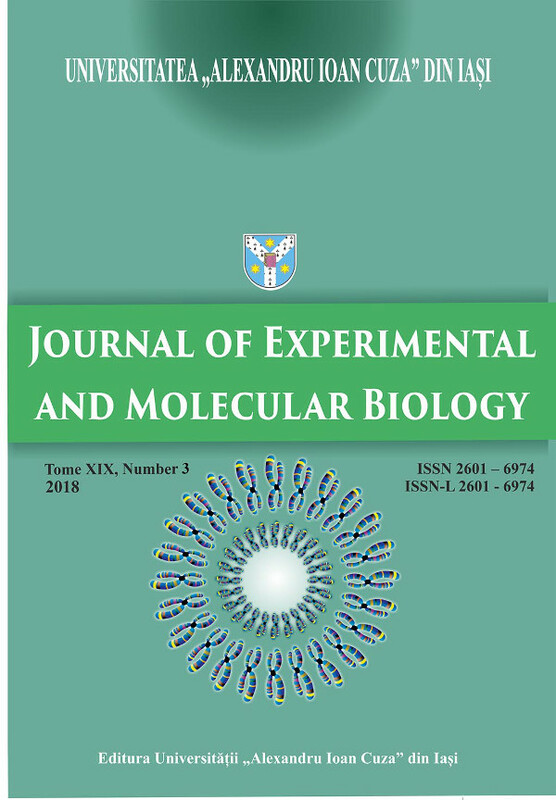 As of 2018, Journal of Experimental and Molecular Biology is the new name of the Scientific Annals of „Alexandru Ioan Cuza” University Of Iaşi New Series, Section IIA, Genetics and Molecular Biology. Journal of Experimental and Molecular Biology (J. Exp. Molec. Biol.) publishes research papers and reviews in all areas of Biology involving laboratory-based experiments (including in-silico experiments) aiming at understanding the molecular basis and mechanisms of life. J. Exp. Molec. Biol. focuses on Molecular Biology, Biochemistry, Microbiology, Genetics, Animal Physiology, Biophysics, Cell Biology, Immunology, and Bioinformatics, being the only Romanian journal that covers all of these aspects.